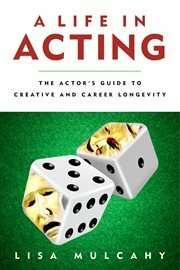 The item A Life in Acting : the Actor's Guide to Creative and Career Longevity, (electronic resource) represents a specific, individual, material embodiment of a distinct intellectual or artistic creation found in Richland Library. A Life in Acting is a practical guide for aspiring and established theater actors looking to make a consistent living doing meaningful, creative work on the stage. Author Lisa Mulcahy communicates her advice through a series of interviews and "war stories" that will have you taking notes and laughing until your sides hurt. The sage advice of veteran performers and an entertaining writing style make this a terrific tool to build career longevity. The veteran thespians who give advice are and sustain themselves as artists and professionals through the sage advice of veteran performers who have already done it and continue to do so. Each industry veteran who contributes to these pages is renowned for their talent, is vastly respected by their peers, and has worked consistently in the theater for decades. Actors will learn how some of the industry's most successful and longest-surviving members have developed invaluable traits that have kept them in show business, including: - Recognizing personal strengths - Developing versatility - Marketing oneself effectively - Earning a paycheck - Pursuing the most valuable opportunities - Choosing the right kind of training Finding a mentor - Making important connections - Dealing with success and failure - And much more! A Life in Acting is a must-read for career stage actors. It is a book that will serve as the ultimate guide that can be referenced again and again. Learn how the best actors in the business have made their built a life on the stage, and how you can too!